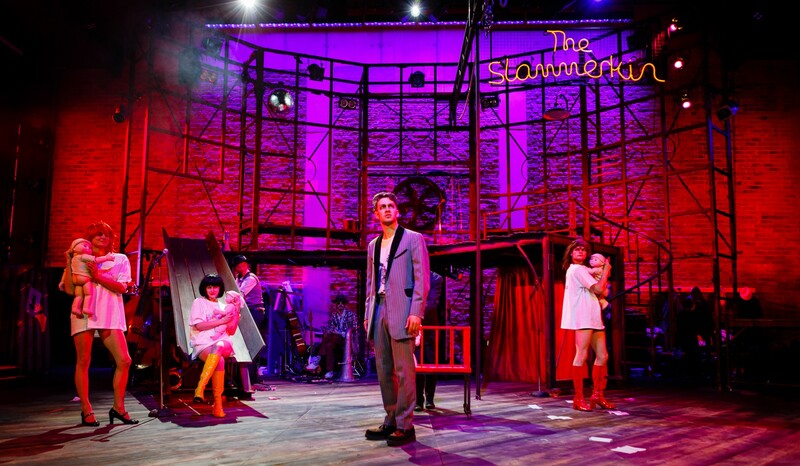 The ever-inventive Kneehigh are back at Oxford Playhouse from Tuesday 14 to Saturday 18 May with their trailblazing and much-celebrated Dead Dog in a Suitcase (and other love songs); a radical re-working of John Gay’s scabrous satire, The Beggar’s Opera. Written by Carl Grose with original score by Charles Hazlewood and directed by Kneehigh’s Artistic Director and founder Mike Shepherd; the vibrant and violent underbelly of a gritty urban world explodes into glorious theatrical life in this revival of the critically-acclaimed and extraordinary musical masterpiece. The versatile ensemble includes Rina Fatania (Mrs Peachum), Georgia Frost (Filch), James Gow (Musician and Mac’s Gang), Angela Hardie (Polly Peachum), Martin Hyder (Les Peachum), Dave Johnzy (Musician and Mac’s Gang), Giles King (Colin Lockit), Patrycja Kujawska / Lucy Rivers (Widow Goodman), Alex Lupo (Musician, Mayor Goodman and Mac’s Gang), Dominic Marsh (Macheath), Beverly Rudd (Lucy Lockitt), and Sarah Wright / Tim Dalling (Punch Puppeteer and Mac’s Gang). Grose’s savage political comedy propels along with Hazelwood’s pulsing score as the notorious urban assassin Macheath carves a swathe through a criminal world, dodging bullets and breaking hearts as he goes in this twisted morality tale for our times bursting with wit, wonder and weirdness. Taking inspiration from Gay’s original, this bold re-telling shines a contemporary light on people’s capacity for corruption; confronting big business, corrupt institutions, urban myths and pilchards. The live score plunders the sound of our times; trip hop combines with folk, ska with grime and dubstep to create a gorgeous and powerful musical mix.